Olivia is a rural community located 90 miles west of the Twin Cities in one of the most productive agricultural areas in the United States. In 2004, Olivia was designated the Corn Capital of the World by the Minnesota Senate, and Olivia’s Memorial Park includes the largest ear of corn in the United States. Olivia is home to the world’s highest concentration of seed research and processing companies. In 1992, Olivia and seven other cities joined together to form MMPA. Olivia also receives power under a long-term contract with the Western Area Power Administration. The City of Olivia offers rebates to residential customers who purchase and install new, ENERGY STAR® appliances and lighting. Rebates are also available when you recycle your refrigerator or freezer or tune up your central air conditioner. Applications are available below, on the City website, or may be picked up at the City Office. If you qualify for Energy Assistance in MN, you may be eligible for a free energy audit through the Weatherization Assistance Program (WAP). Contact Heartland Community Action at (320) 235-0850 to see if you qualify. Information about WAP can be found here. 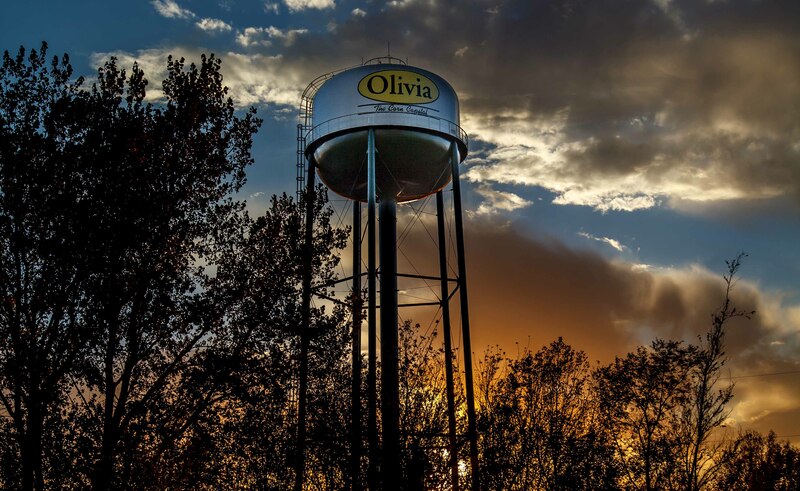 The City of Olivia offers rebates to business customers who install energy efficient lighting and variable speed drives. See rebate forms for details. Applications are available below, on the City website, or may be picked up at the City Office. For information on Custom projects, please contact the City of Olivia.